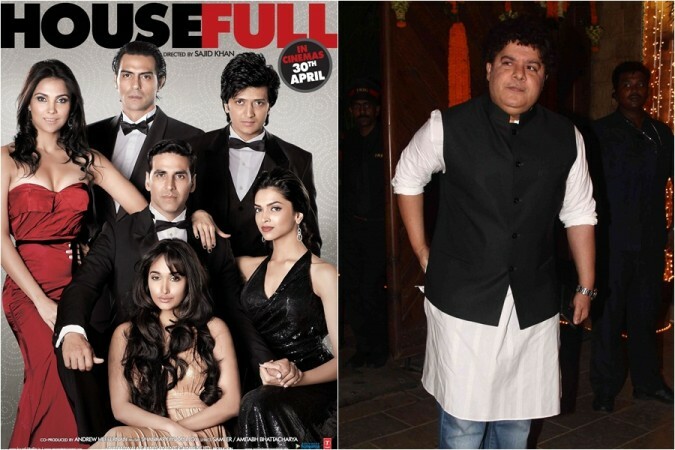 MeToo: Was Sajid Khan rude and vulgar with Deepika Padukone and Jiah Khan on Housefull sets? Lara Dutta's husband and tennis player Mahesh Bhupathi has revealed that his wife told him how Sajid Khan was being rude and vulgar towards actresses during Housefull (2010) shoot. In the wake of MeToo allegations, multilple women have come out and accused Sajid Khan of passing lewd comments, cracking vulgar jokes and unzipping his pants and taking out his private part while conversating with them. Following sexual harassment allegations, the filmmaker was removed from his position as a director of Housefull 4. While Ashoke Pandit, the president of Indian Film and Television Director's Association (IFTDA) has said that the association will announce their decision on Sajid Khan and Alok Nath's cases in this week itself, Lara Dutta's husband and tennis player Mahesh Bhupathi has revealed that his wife told him how Sajid Khan was being rude and vulgar towards actresses during Housefull (2010) shoot. "When we were dating she (Lara Dutta) was shooting for 'Housefull' and we were in London at that time. She would come home and her closest friend was her hair dresser and they both would be complaining about how one of her co-stars was being treated by the director. Rude, vulgar," Bhupathi was quoted by PTI while he was in conversation with journalist Barkha Dutt at 'We The Women' event on Sunday night in Mumbai. The 2010 romantic comedy, directed by Sajid, featured an ensemble cast of Akshay Kumar, Riteish Deshmukh, Deepika Padukone, Jiah Khan and Arjun Rampal. Bhupathi recalled he told the actor how "all four of you," who were working in the film, were complicit in enabling Sajid's behaviour. "I told her you guys are all complicit, all the four of you who were in the film (and) were listening to what he was saying and not telling him it's not ok. So at some level you guys are complicit and she agreed," he said. To which, Barkha said it would have been difficult to take on Sajid as people's work depended on him and that is a coercive environment which makes it difficult for women, to speak up as they would lose work. Bhupathi said he understands the film fraternity functions in a different way but it does not justify one brushing off something as serious as indecent behaviour. "I come from the sports industry where we think differently. In sports, the cream always rises to the top. If you're good at what you do, you are going to win matches and get results. "Obviously the film industry is different. If the fraternity decides to ostracise you, you don't get work. But I don't think it's good enough reason to let things like these slide," he said. Was Bhupathi hinting at Sajid Khan being rude and vulgar towards Lara Dutta's co-actors Deepika Padukone and Jiah Khan? Only he and Lara will tell.